Shekhar Kapur is one of world’s most well known film directors and one of the few directors who have worked extensively in India’s film Industry (Bollywood) as well as in Hollywood. Shekhar was a successful Chartered Accountant and Management Consultant in London before he turned his interests to media. He returned to India and went on to become one of India’s most well known models and highest paid Television actors. He directed many award winning commercials before finding his passions in film direction. 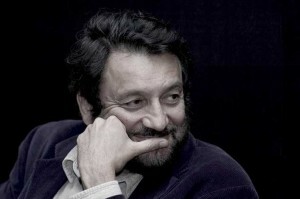 He directed a segment of the film “New York, I love you.” He is one of the 12 internationally acclaimed directors for the film which is similar in concept to the successful feature film “Paris, je t’aime” that opened the 2006 “Un Certain Regard” section of the Cannes Film Festival. He recently directed a short film “The Passages” in Buenos Aires which was commissioned by Swarovski. He was then invited by Swarovski to do an installation based on the film at their museum in Wattens, Austria. The installation called “Sankalpa” is currently on display at the museum. He is actively involved in the creation of a new media development fund out of Singapore. The potential partners of the fund are the Singapore government (MDA) and Cisco Systems. He also sits on the board of the Media Development Authority (MDA) for the Singapore government. His personal hobbies include scuba diving and mountaineering.